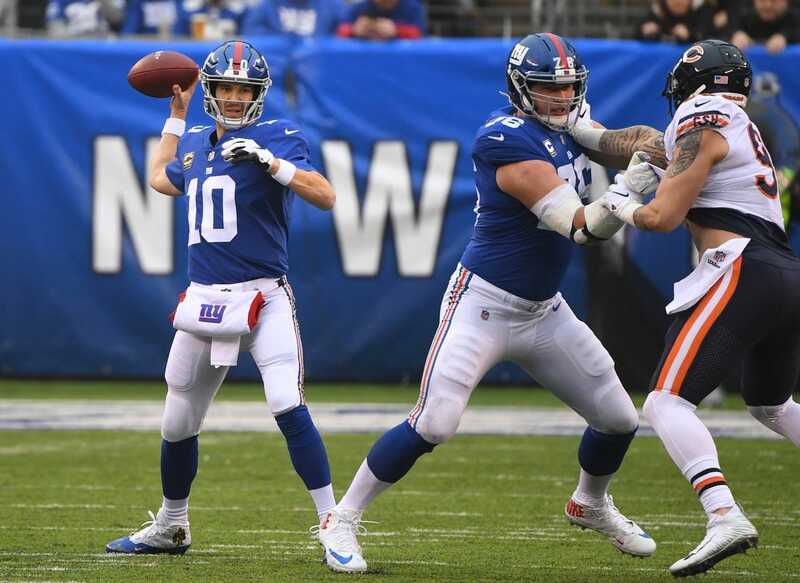 Yet to be officially eliminated from playoff contention, the New York Giants will start quarterback Eli Manning again in Week 14 against the Washington Redskins. SNY reported two weeks ago that the Giants still intend to play Lauletta at some point this season, but not before the team’s playoff hopes are officially gone. After Sunday’s win over the Chicago Bears, the Giants are 4-8, three games back of the NFC East-leading Dallas Cowboys with four games to play. Two of the final four games are within the division: Sunday at Washington and Week 17 vs. Dallas. Many have assumed the team will move on from Manning, who turns 38 on Jan. 3, after this season, which would make it worthwhile to assess Lauletta and gauge the rookie fourth-rounder’s progress. However, SNY reported last week that a decision has not yet been made on Manning’s future, and the team could bring him back in 2019 depending on what other options are available. Manning went 19-for-35 passing for 170 yards, a touchdown and an interception on Sunday. He has 3,263 yards, 15 touchdowns and eight interceptions this season while posting his highest yards-per-attempt average (7.5) since 2011 and his highest ever completion percentage (67.9). Manning has also been sacked 41 times, a career high and 10 more than in all of 2017.